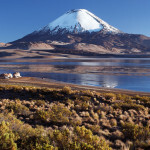 To be honest, I expected the drive back from the altiplano highlands of Salar de Surire towards the coastal city of Iquique to be a barren, boring affair. So we were surprised when about 50-100 km west of Colchane we started seeing a plethora of incredible rock formations along the sides of the highway! Some of more fantastic looking of these eroded geological sites proved to be inaccessible by roads and would have required a backpacking trek, along with leaving our truck unattended on the side of the highway – both of which we weren’t willing to do at the time. But finally we came upon a section of surreal formations that we were able to access with the truck. After finding a nice spot to hide the truck and camp, we went on a scouting mission on foot through the convoluted canyon network. 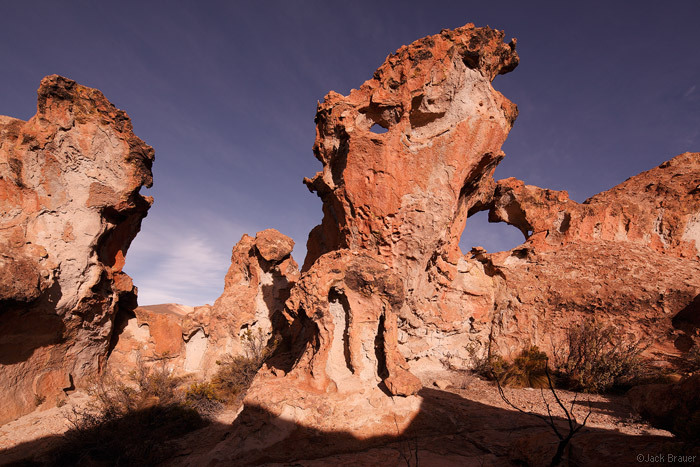 With lots of fun scrambling around over rock ridges and through little slots, we eventually found a particularly fantastic area full of surreal formations and even a number of arches! We stayed around there until sunset, having a blast climbing around and photographing the formations. This unknown, unsigned geological wonder would probably be a designated national monument back home in the States, but here it’s just a bunch of rocks and canyons along the highway. I love these kinds of surprises that you sometimes stumble upon when traveling! 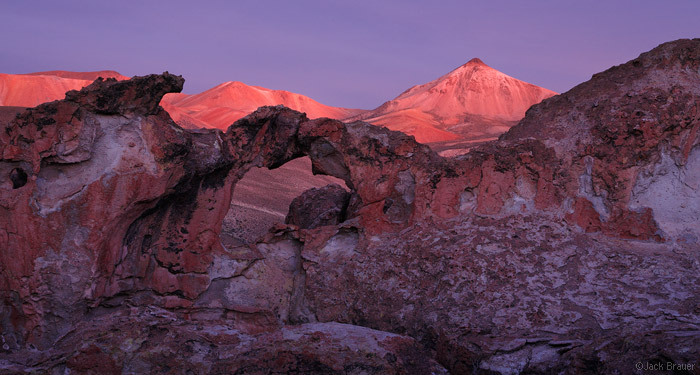 Posted in Andes, Deserts & Canyons and tagged Andes, Atacama, Chile on October 27, 2011 May 19, 2013 by Jack Brauer. 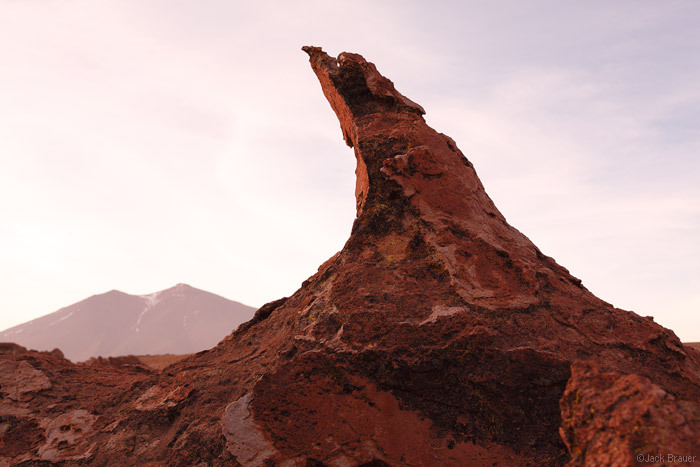 ← Previous: "Salar de Surire"
The middle one looks like something from Dr. Seuss.